Don't forget to grab your tickets to this intriguing participatory world premiere! 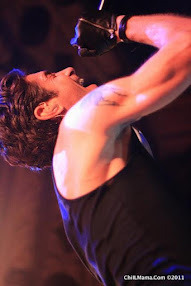 ChiIL Live Shows will be out on opening night so check back soon for our full review. 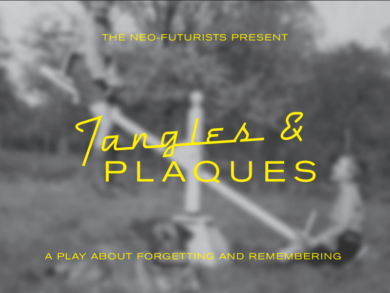 The Neo-Futurists present Ensemble Member Kirsten Riiber’s Tangles & Plaques, October 12 – November 18, directed by Artistic Associate Jen Ellison at The Neo-Futurarium, 5153 N. Ashland (at Foster) in Andersonville. Previews are Thursday, Oct. 12 – Saturday, Oct. 14 at 7:30 p.m., with opening night Monday, Oct. 16 at 7:30 p.m. Performances run Thursdays – Saturdays at 7:30 p.m. 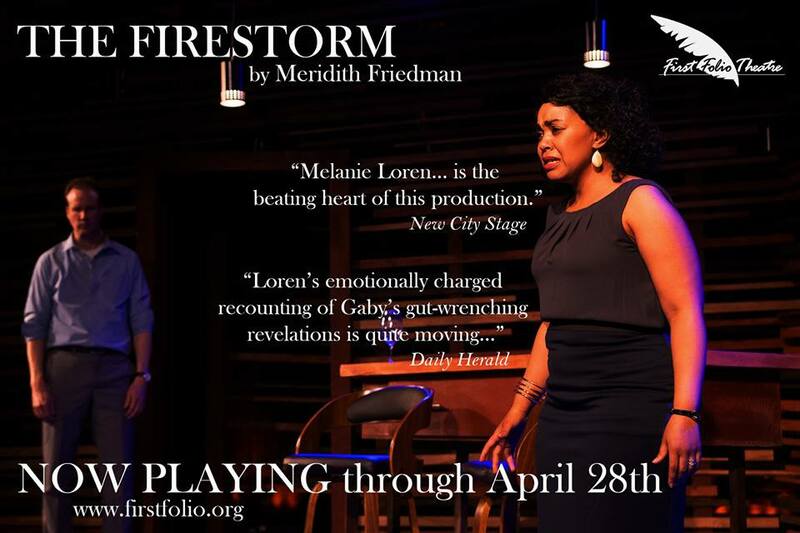 Ticket prices for previews and Thursdays are pay-what-you-can; for the regular run, tickets are $10-25. Tickets and information are available at neofuturists.org or 773.275.5255. Neo-Lab’s 2016-17 commission, Tangles & Plaques attempts to demystify the experience of dementia in the language of theatre—offering a vivid, poignant, participatory experience that is unique to each audience and different every performance. 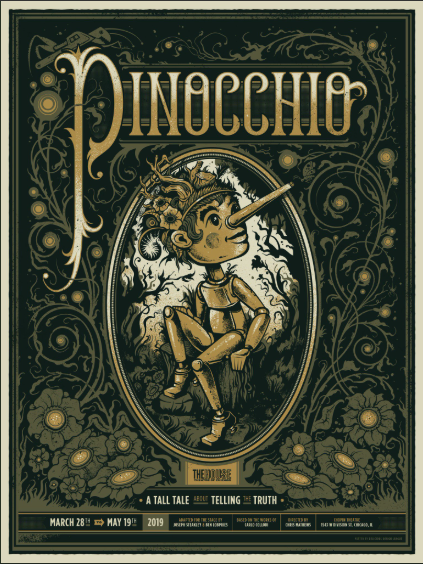 Creator Kirsten Riiber* and Director Jen Ellison+ conduct a symphony of impossible tasks and egregious forgery with the help of the audience and a cast including Riiber, Kaitlyn Andrews, Ida Cuttler*, Justin Deming, Mike Hamilton, Nick Hart* and Dan Kerr-Hobert. * With guidance from Memory Care Director Alex Schwaninger, a professional counselor at the local Bethany Retirement Community, the ensemble interrogates the life and death of memories— how they persist, when they depart and the ways they distort over time. Neo-Lab is an original works residency originally launched in 2015 by a grant from the National Endowment for the Arts. The inaugural Neo-Lab production during the 2015-16 Season was Ensemble Member Tif Harrison’s Saturn Returns; the Chicago Tribune said, “Saturn Returns provides a smart and sensitive ramble through the first pangs of grappling with saying goodbye forever.” The 2017-18 Season’s current Neo-Lab commission is Ensemble Member Nick Hart’s Remember the Alamo, with its first workshop presentation Saturday, Feb. 3, 2018. The Tangles & Plaques production team includes Kirsten Riiber (creator, ensemble), Jen Ellison (director), Alex Schwaninger (professional consultant), John Kelly (lighting designer), John Wilson (set designer) and Kate Hardiman (production manager). Kirsten Riiber is a visual artist, writer and actor who also serves as the activities director for Bethany Retirement Community. Roles include “Marion” in The Big Knife at Shafer Street Playhouse and “Moss” in Glengarry Glen Ross, as well as devising two original shows with Alluvium Group: The Adventures of Goodbye Forever and Hello Again and Oniero. Riiber has appeared as a writer-­performer in the productions Saturn Returns, Analog, Too Much Light Makes the Baby Go Blind and The Infinite Wrench since 2013 as an ensemble member of The Neo-­Futurists. Jen Ellison has been performing, writing and directing in Chicago for nearly 20 years. Directing credits include Trap Door Theatre, WNEP, and Collaboraction, and The Neo-­Futurists where she is an artistic associate. As a resident director at the Second City, Jen has overseen two national touring companies, developed multiple shows for their Outreach and Diversity program, and directed Apes of Wrath for the ETC stage. In addition to teaching ethics at DePaul University, she is a member of the Comedy Writing and Performance faculty at Columbia College Chicago. Alex Schwaninger has always loved connecting with people over the deepest issues of life – from the search for personal identity to interpersonal and community issues. Even since his earliest memories, he has found himself in situations meditating, translating and coaching others in communicating in a way both to understand the other and to be understood. Schwaninger has a master’s degree in counseling psychology and has been a memory care director at Bethany Retirement Community since 2011. Previews: Thursday, Oct. 12 - Saturday, Oct. 14 at 7:30 p.m. Opening Night: Monday, Oct. 16 at 7:30 p.m. The Neo-Futurists are partially supported by grants from Alphawood Foundation Chicago, The Chicago Community Foundation, a CityArts Grant from the City of Chicago Department of Cultural Affairs & Special Events, Gaylord and Dorothy Donnelley Foundation, and The MacArthur Fund for Arts and Culture at The Richard H. Driehaus Foundation.